The Asian Development Bank-Japan Scholarship Program (ADB – JSP) was established in April 1988 with financing from the Government of Japan. It aims to provide an opportunity for well-qualified citizens of ADB’s developing member countries to undertake postgraduate studies in economics, management, science and technology, and other development-related fields at participating academic institutions in the Asian and Pacific Region. 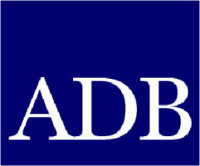 The ADB – JSP provides full scholarships for one to two years. The scholarship is for one year with an extension to the second year of study, as appropriate, which shall be conditional on the scholar maintaining a satisfactory level of performance as determined by the institute. The maximum duration of scholarship award is two years for masters and doctorate programs. The applicant has to have a bachelor’s degree or its equivalent with superior academic record. The applicant has to have proficiency in oral and written English communication skills to be able to pursue studies. The applicant has to be not more than 35 years old at the time of application. The applicant has to be in good health. The applicant should agree to return to his/her home country after completion of studies under the Program. Staff of participating academic institutions are not eligible for the scholarship. Executive Directors, Alternate Directors, management and staff of the other international organizations are not eligible for the scholarship. Applicants living or working in a country other than his/her home country are not eligible for the scholarship. Request further information and application form from participating academic institutions. Complete the information sheet – it may be photocopied, and send it to the academic institution(s) where you want to study. Attach all requirements indicated. The institutions, using their standard criteria, will evaluate the applications and contact candidates for further information. The institution will then recommend eligible candidates to the ADB. ADB will select scholars and inform each institution accordingly. The institutions will inform all applicants and make arrangements for successful ones to take up their scholarships.